When life gives you lemons, dive into the pool wearing the Kate Spade New York® Lemon Beach Bandeau Halter Bikini Top. Bandeau top with halter neck tie. Lemon print with O-ring detail. 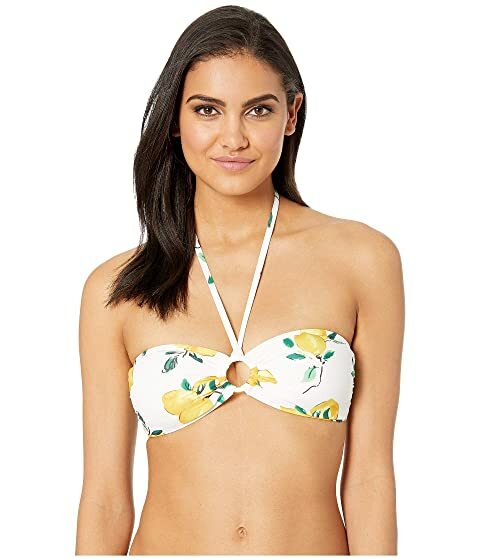 We can't currently find any similar items for the Lemon Beach Bandeau Halter Bikini Top w/ Ring Detail & Removable Soft Cups by Kate Spade New York. Sorry!